I had thought once we set sail, this blog would end. However somethings just seem more fitting here than on the sailing site. I do not know if it matters to my 4 or 5 readers. Never the less this will be my final post for a while as we are heading to the South Pacific and I will be internet-less for some 35 days. 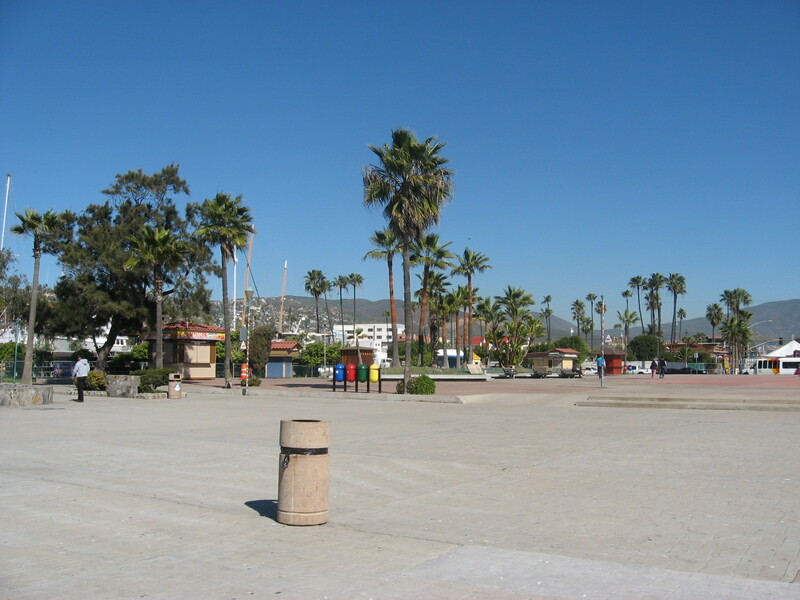 We moved from the marina there in downtown Ensenada to another location just outside of town. Very nice upscale , location attached to a hotel. My practice session are less elaborate here, mostly just working on my Chen Tai Chi and fundamentals of Kyudo and meditation. My new “Dojo” is right on the beach front , very nice. However there is no shade so once the sun hits , it is on! Seriously! It is nice in that I do not have the lookers like at the other place, for the most part I get to practice in private. I love being able to do zazen and hear the ocean kiss the rocks on the shore. Also having a platform with a shade cover is nice for my stillness time. I feel the time next to the ocean is good feeling that Chi. I will be able to be up close and personal shortly as we will be leaving with in the next few days. Our time here in Mexico is winding down. It is a mix of joy and sadness. We will be at sea for some 35 days , it will be interesting to see what I can arrange as far as practice. Stillness will be easy movement will be limited. Still practice is practice , both for and formless. A cup of ocean water is still ocean water. So that is it for the local news. Next post will be from the other side of the Equator . I will shoot an arrow in respect for King Neptune. It is traditional to make some type of offering to the King Water Spirit. Mine will be the arrow and the shot to honor his royalness…Yosh! April 27 is World Tai Chi Day. Around the world on this day , people come together to spread healing and positive Chi into the world as a group. In years past I have not attended any gatherings, but have done my own chi addition in the park or someplace. This year there was another event held in Ensenada, Mexico. 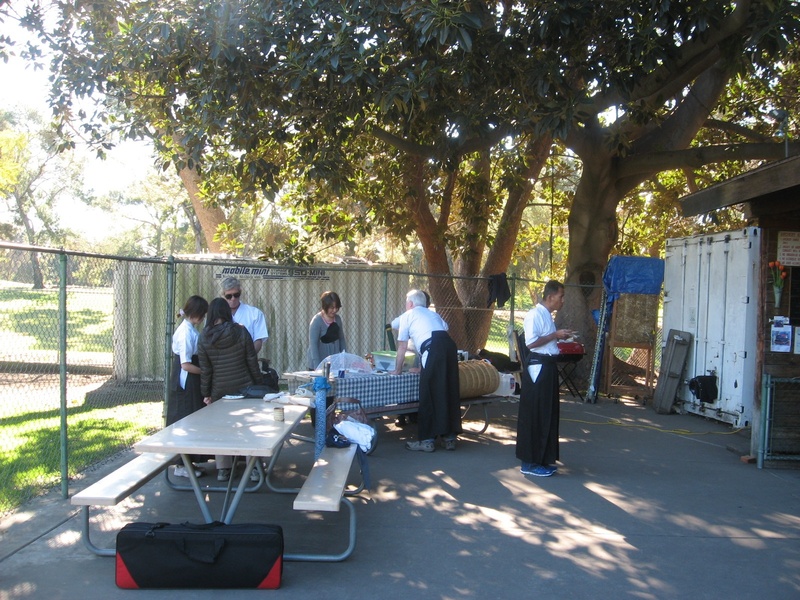 I had been in touch with the Ensenada Qi Gong Tai Chi group about visiting their practice class. However with no transportation to their sea side location it was difficult. As host for this event in the past they held it again this year. I was invited. As it turns out it the location was only a few blocks away from our marina. Also lucky because on Monday we are leaving from there/here. LZ and I got up and out on Sat morning to attend the Tai Chi event. I introduced myself to the Master and we spoke briefly in my limited Spanish. A short time later his wife who spoke some English also came, introduced herself and welcomed us. She explained the program in more detail. There was to be a Kung Fu demo from a school in Tijuana, then a group Qi Gong session, then followed by Tai Chi from their school. Afterward there were some Tai Chi Sword demos and fan form from the local WuShu, Kung Fu, Yang Tai Chi school. Again the same I had visited in town. Not very welcoming, but civil. I did not try to speak with the Shifu, I bowed to him when we finished the Qi gong, but he seemed distance. I know he remembered me, not like they get people who look like me visiting and leave their card. No matter. Maybe he was distant because he spoke no English, not because he is seeming aloft. Anyway a short while later I am approached by the Qi Gong Master again and asked to join the Tai Chi demo from his school if I wanted, and he would be very honored. Said ok, however I did not know their form so l would follow again from the back. He was honored he said. A short while later it was time I went on to the stage with the group this time I was surprised to be introduced as a visiting master. I was asked if I wanted to say something. I did a small thank you and how great it was to be part of this important event. I did a part in Spanish and then in English. The person with me repeated in better Spanish! I bowed and went an joined the line. Again it was Taoist Tai Chi, so I watched and followed along on the Tai Chi 28 form. It was interesting. After it as over the Master who was wearing a removable leg cast when I first met him started to badly limp off the stage. I came to his aid and helped him off. He looked in pain. I do not usually do the healing practice I learned the basics of from my Shifu Kam Yuen, I do not feel like I am good at it, but thought I would try. I did just a few minutes of treatment on the master and he was very grateful. He said it helped. I hope so even a bit. I noticed instead of sitting in the chair that was brought to him he stood and spoke with others. So perhaps it did ease the pain some. He gave me a big hug afterwards for my act of compassion. He is a nice man, he unlike the other Shifu has very humble vibes. I notice people had a lot of respect for him. Once finished I was approached by a student (?) of his and asked , was I using the Yuen method. I was quite surprised! She wanted to learn and to have a treatment. As said I am not a good user so I was hesitate to offer service, and we were only in town still for a short while. I told her I could help her with an on-line connection, and to send me an email. Perhaps al short treatment session could be arranged. She thanked me and LZ and I said our goodbyes to the master and we took our leave. We are kickn’t today after a busy day of here-n-there running yesterday. LZ wanted to finish up her reports for the Japan Mag. So today, I get to rest mostly, no driving Miss Daisy. So for now, it is some blogging, Latin Jazz on the internet, some reading, then a little boat stuff, maybe slip some musical instrument connection in there somewhere, later this PM. Mexico kind of grows on you. A few days ago we went to a Local Art show in a small local museum. Not really my kind of Art, but interesting, forgot camera. It was interesting to feel the vibes of Artsy people again. Reminds me of how much I miss doing ceramics and the sharing of other student’s Chi in class/studio. Also going to misc open studios around the Bay. Visual Arts energy is different from, musical Art Energy. Both are good, but for shore ( a lil sailing/water related visual verbal pun) different. Kind of like “Leo” fire Chi is different from “Aries” fire Chi, but they mix easily and often, being the same nature. Anyway I digress. There are some interesting and gifted artist here in Mexico. Some of the food places here in Mexico have been outstanding. There is a misconception that Mexico is dirty as would be the locals. Mexico is a poor country, but the people are warm-hearted and themselves clean. In a restaurant everything is kept clean. When you finish eating they clean up the table right away. LZ is impressed with the food care, preparation and presentation. We stopped by a simple but local favorite restaurant the other day. 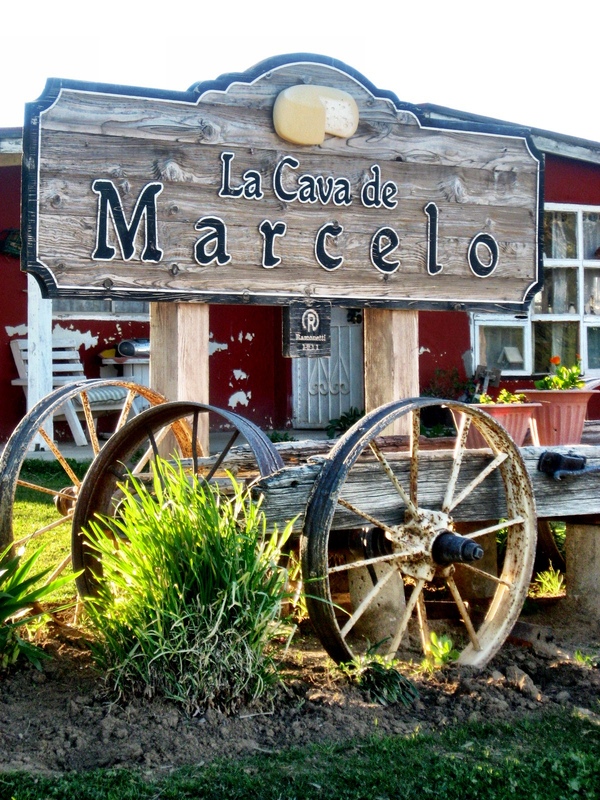 It was recommended by a local as one of the top restaurants in the Ensenada area. The prices were great, the atmosphere was pleasant, great music on the sound system, clean. It was an out-of-the-way spot one would not except a place of this type to be there. 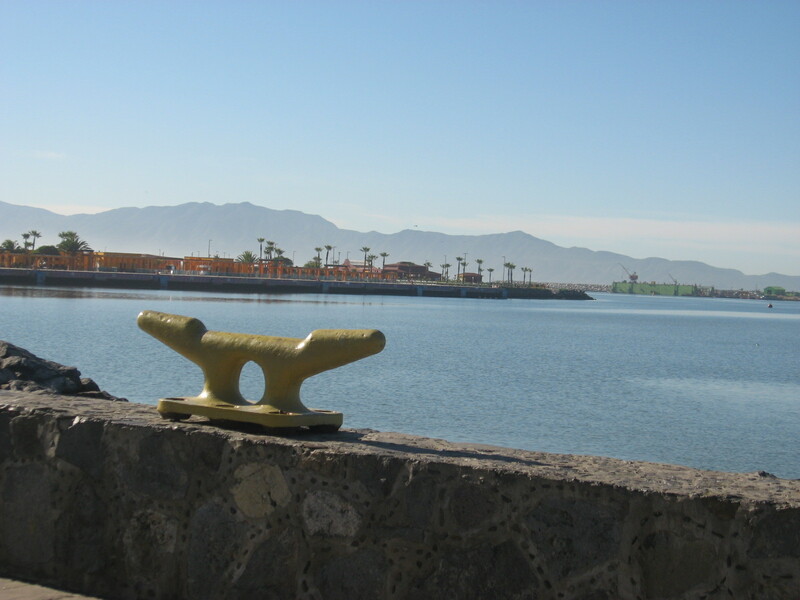 Ensenada is full of out-of-the-way, hidden treasures of which it is one itself. We also went on a wine tasting working adventure. LZ working on her Japan Magazine articles needed to cover some wineries. I was unaware there we so many wineries in the area. Some are very small, and some are of a fair size, which rival those of Northern Cal. We visited several where we had to make appointments to see and were the only people on the short tour. One such place we stopped at late after making a the appointment, due to some miscommunication. The Manager let us in anyway, gave us a private tasting and we chatted. I was driving so did not have much, but he kept pouring for LZ. She refused, lightly but had a few more sips. Near this winery is a Pizza shop. It is up up up, a little dirt road(s). Lots of turns and bumps to get there. Way way off the beaten path, I would have not ever thought of a pizza place there. However the locals know of it, it is rated also the top Pizza place. We drove up I was shocked, not only that it was crowded, but at the location, and the number of people who kept coming after we arrived, group after group. Over all, Ensenada is a comfortable place, if not for heading for Japan I could stay here. Make a few adjustments and setup a comfortable life. LZ and I have spoken if life changes to a different path once we are done with our family giri in Japan, Ensenada could be a place to consider returning to live. Yet, every place (mostly) is nice when you are visiting, and we will be older then…anyway something to keep on the back of the mind, considering Japan is having issues, with earthquakes, radiation, air pollution from China, bomb threats from Korea…jheez! Having an exit plan /route is still wise. We have been here for awhile now. I am getting into my groove I guess one could say. One of the things on my list to do when retired was work on my Arts and development them. So far I have gotten my discipline started with morning practice. It sounds easy enough one would think having been at this so long. However not working, not teaching, puts a different light on getting up and getting out daily. It is a different type of discipline needed, to set the habit. I belive that doing my morning meditation consistantly has helped with being able to getup and get out. Having done so many years of Kung Fu helps my discipline of doing my meditation everyday. They support each other, as they are part of the same thing. I have been doing the first Zazen once I get up and I am pretty much awake. Sometimes I get right to it, other times I log on to FB to fed my on-line habit, then meditate. Generally it is 20 min, I am finding that goes by surpringly soon these days. I can recall when 10 min was a struggle. I have sat for as long as an hour in retreats without too much trouble…”too much” being the key word. It is work, but doable. I should add another 5 min to the morning but, that is really only part A , so I feel it is ok at 20 min for now. I have been doing a second Zazen after motion Chan, (kung fu taichi), outside next to the bay here. This one I have no idea how long, it maybe 10-20 min. I do not keep a timer for that. This second one is not to get my quota in, it is just for the pleasure of sitting. I find the energy is different and more filling outside next to the water, hearing the birds, feeling the air, the chi of the world, than even sitting on the boat, which is contained. Maybe it is all on my mind just because the motivation is different for this session. I have changed from my orginal practice spot. A developed area were if I do not get there early tends to get a lot of foot traffic. Now to a quiet place over in a corner of a kids playground. It is out of the main flow of foot traffic and eyes. As long as I get there fairly early I am in a quiet spot, alone. Under a shade tree, with hard sandy ground under foot. It does not have the ambiance of the other spot but it is secluded, yet I can see everything the same including the bay, with the addition of the park. The vice is good that is important! Again early is the key for a undisturbed motion Chan practice. So far the rouine has been Ba Lum Gum ( 8 silken movements) Chi Gung, Chen 36 ( relearning not having practiced enough), Yang 24 or Tai Chi palm ( Tai Chi Mantis Tai Chi), varying with the day. Finshing up until this week with Hsing Yi. 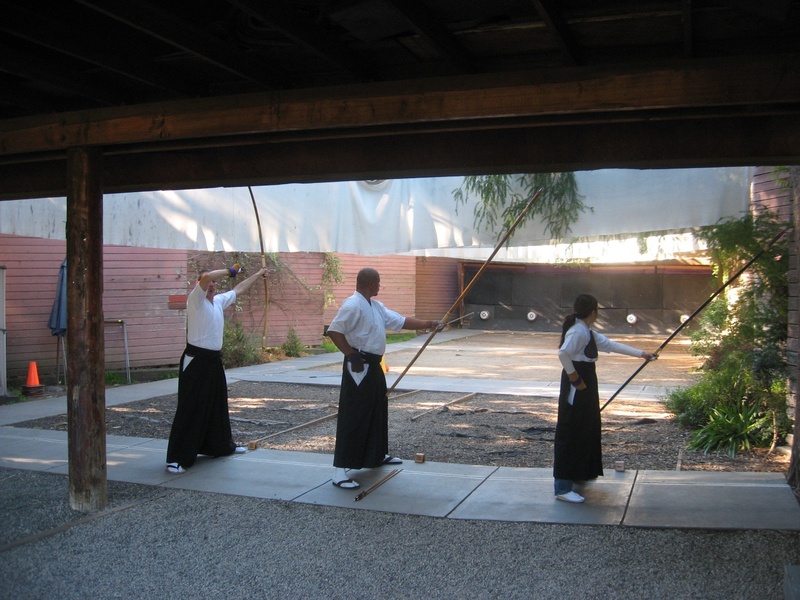 I have started ths week adding a bowless 2 kyudo shots to the end of the session. Standing form, really trying to be mindful of the internal aspects of the draw, the form , the breath. The next expansion of the training session will be adding a jhin (sword) form and a Mantis set. I need to reconstruct my memory banks on my favorite advance set, Lan Jie. I am so glad I got to tape my Shixong doing some things. Although Lanjie is done so fast it is hard to follow. Anyway it gives me good reference for now and later once in Japan. and remember I am still a musician. All parts of solo training my arts. Sometimes I get so wrapped in the other stuff I have to force myself to be still and play. That is part of my nature to be focus , intense on what I am doing. Lost in the moment could be another way of looking at it. I just finished reading a book by Victor Wooten, call the “Music Lesson, Spiritual search for Growth through music” an amazing book. I have new respect for him, besides his musical talent. It was like Carlos Castenada on music instead of Peyote. I think the biggest training and hardest is my mind and spirit. Which all of the other things encompass, hmmm that should be encompasses all the other things. Staying in the moment, trusting the Tao and not getting lost in the thoughts of, this is nice, but we have so little money. That is really the hardest part of all of this solo training. The spirtual training pracitce of trusting the Tao. My Chan sister was so correct in saying this is more than a sailing journey, it is a Spiritual Journey as well. Part of that spiritual solo training is trust in the Tao to provide. It has been a while since my last post so a little update I think is good. 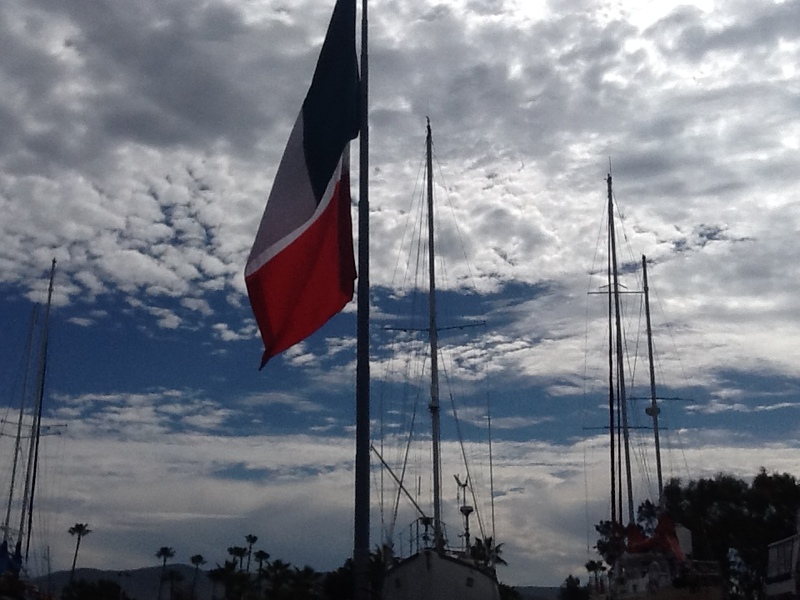 For those who are not following the sea blog and do not know, now you know, currently we are in Ensenada Mexico. Almost 1 month now, less a day or so. It took some adjustment, but things are fairly good, other than the water which is bad. There is a work around that, which cost, but it is not too bad. The price for drinking water is reasonable. Weather has been improving so that for me is always good, I hate the cold. We have done a couple of small tourist things, visiting a natural cheese farm. They had cows which are only used to milk for cheese. 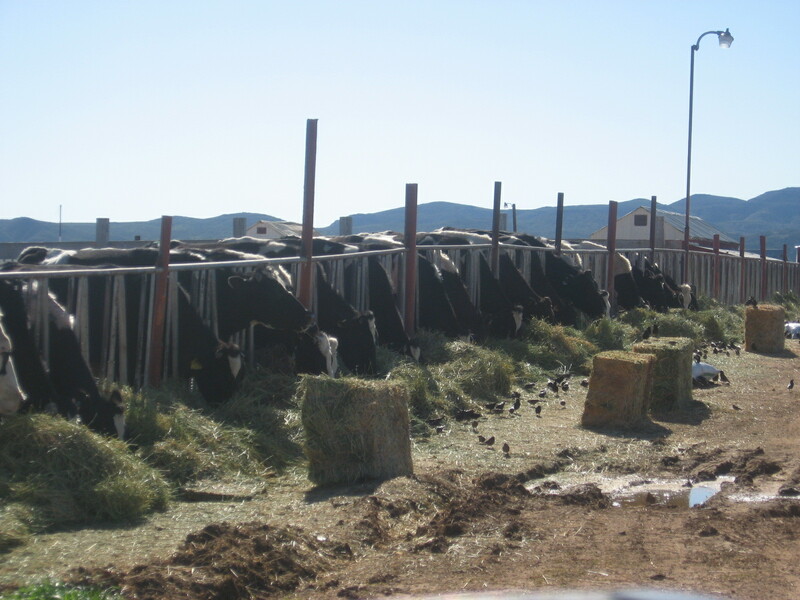 Happy cows! Then they showed us the process and lastly gave everyone some samples with a glass of wine and bread. OMG good! We took some home. 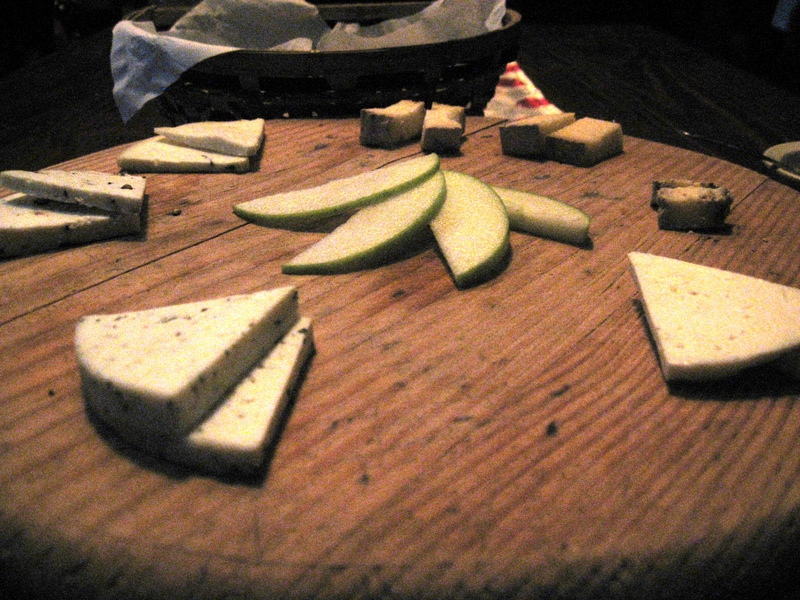 The cheese not the cows. 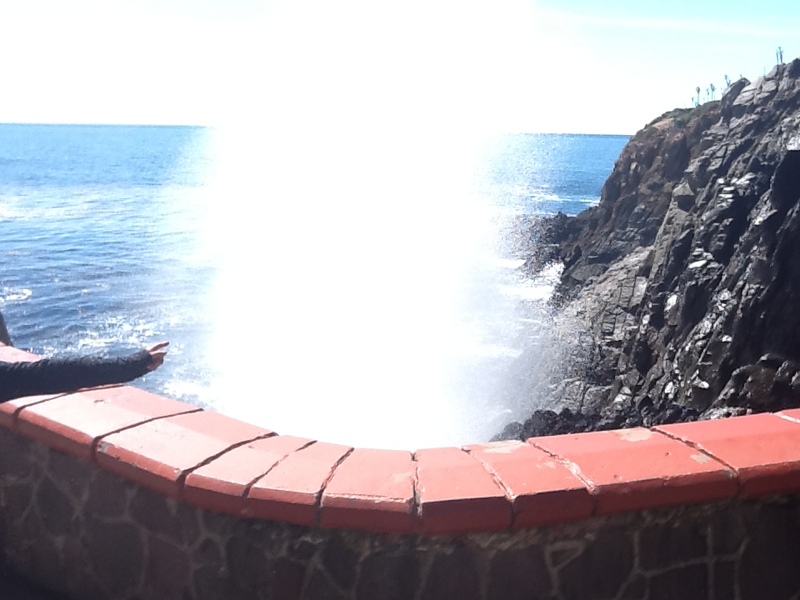 Another place we went is called the blow hole. ( bofadora) a place were the rock forms a place were the ocean shoot up in a spray. It was ok, but not worth the camera I broke trying to take a picture and tripping over a rock. Sigh. Something else to replace with no spare money. I have been out-n-about and found more martial arts school than I thought this small place would have. Several Karate schools of course, there is also a Kung Fu school , which I have visited a couple of times. However have yet to speak to the Shifu. He has not been there, and whoever is teaching is busy with the class so will not stop to speak with me, understandable. 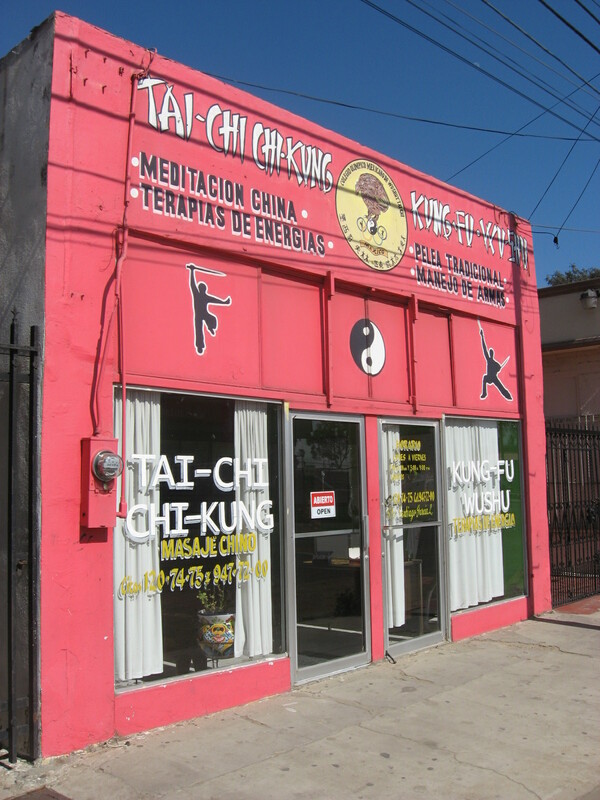 They teach several arts, Wu Shu, Hung Gar, Tai Chi, and some Chi Gong. They train fairly well from what I see. With getting settled now, I have started my own practice again, early mornings, but I need to make even earlier as not to have the misc onlookers. I like the solitude and not feeling like the entertainment . I have found a place by the marina on the water front. There are usually a lot of people out and about, starting early since it is a nice location. So I need to get before they start. Morning solo practice , after morning Zazen. There is Qi Gong, Tai Chi, Hsing Yi. then a bit more Zazen. I wish there was someplace to do Kyudo, but alas I will have to make do with just some misc parts. even a small part is better than none, even if sometime it is just mental. The mind is the controlling factor anyway…ne! For now…it has been all about the move as of late. There has been a few diversions though. I have gotten a couple of kyudo session in since the last. A few visits with the Kungfu family and the Chan fam. A few weeks ago a sailor from Japan (one of three) showed up. He had done Kyudo in high school some 49 years ago. He wanted to go to class with me. He remembered things well enough to help a newbie understand how to do basics. His form for shooting was great! Impressive for not touching a bow for 40 yrs. My Kyudo equipment is now packed and ready to ship. All except a set of equipment which will travel on the boat with us. I will seek out place to shoot from time to time. That way I will not be too far out of practice when we get to Japan. My senior Kung Fu student has agreed to take over the Tai Chi and Kung Fu classes. This is good for her and the students. I did not want to feel I had abandoned this group. I feel out of the years I have been teaching this last group from the Tai Chi group is the best and my favorite. They took me out to dinner… Twice. That is not why they are my favorite, but their attitude. One of the students is even interested in Chan practice. Speaking of which I am having lunch with three of my Chan sisters. The ones from the Berkeley class. It will be good to see them once more. 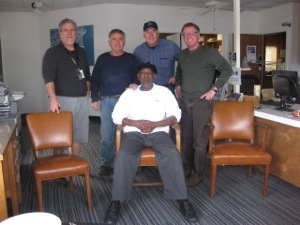 Another surprise out of this, is the group I worked with at the marina, threw me a lunch gathering/going away party. I was shocked. Lots of weather delays before cast off. It is good in a way, I needed the time to mentally prepare as well. This takes mental training to a another level. I’m glad a have a spare Kyudo set with me, looks like we will be spending a little time in LA. I will get to shoot.